This 1892 painting by Kennett Watkins recalls an incident over 40 years before. 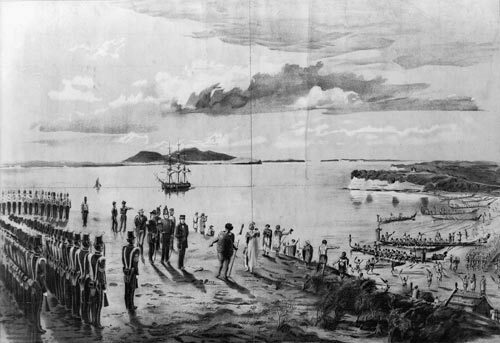 Governor George Grey, with the support of the 58th Regiment and the Royal New Zealand Fencibles, met a group of Māori who had arrived by canoe. Many of the soldiers in the British regiments in New Zealand were Irish.